When you are deciding where to apply for a business degree, you need to be sure that the institutions you look at are as good as they say. A strong indicator of a quality institution is whether or not it is accredited by an association, like the AACSB. AACSB accreditation demonstrates that a business school meets the high standards required of it by the Association to Advance Collegiate Schools of Business. It not only guarantees that you are applying for a quality degree, it also sends a message to potential employers. When you apply for jobs. The fact that you graduated with an accredited degree, will demonstrate that you too met these high standards. The Association to Advance Collegiate Schools of Business (AACSB) is a body that accredits business schools the world over. AACSB accreditation is one of the world’s most selective and rigorous types of evaluation for business schools. The AACSB was founded in 1919 by some of the most reputable colleges and universities in the United States. Today, 620 schools, in 38 countries hold AACSB accreditation. Aacsb.edu explains that the organization evaluates business programmes according to the highest standards of quality, and examines all aspects of a school’s academic programme, including teaching, curriculum, student learning, institutional development, global awareness and academic research quality. Because of its rigorous standards, less than 5% of the world’s 13,000 business programmes have earned AACSB accreditation. The accreditation process is a massive undertaking and lasts more than two years. 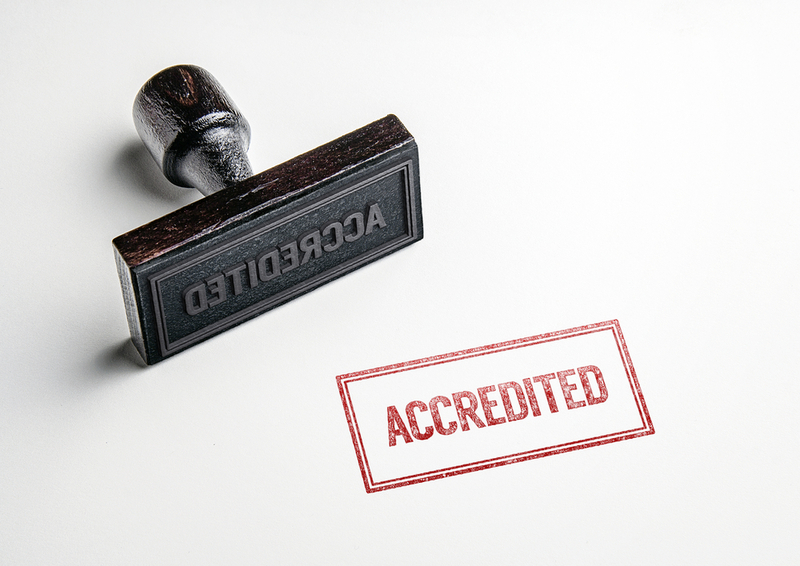 Business schools applying for accreditation must develop a plan that aligns their academic standards with those of the AACSB, and go through a process of self, and on-site, evaluation. A school’s accreditation is then reviewed every five years. Accreditation by AACSB looks at big-picture issues at a business school, such as resources, quality of faculty and programmes on offer. Accreditation by AACSB represents the international seal of approval for business and accounting programmes that ensures the educational needs of students are met through high quality, continuous improvement and excellence in education. It is a public recognition of the fact that a school has achieved a certain standard of education. Article written by Yuri Mytko, MBA, Communications Advisor at John Molson School of Business, Concordia University.